Moving may be one of the most stressful events in peoples’ lives. The old adage of “the only thing worse than moving yourself is helping move someone else” still rings true. Well we don’t feel that way, but we know many, if not most, of our customers do. As you consider various moving companies in Scranton, please allow one of your Moving Consultants to assess your move, detail our approach, and outline an affordable moving quote via our Fair Price Guaranteed system. Based on your unique requirements, we will provide a firm quote that will cover the cost and time of your move. You will find our prices are reasonable, fair and cheap compared to other full-service providers. At Scranton Moving, we will provide all the relocation resources you and your loved one require (see our service line description in the above menu). You can be assured of integrity, quality, and flexibility in all of our service efforts. Our packing services span the spectrum of service from providing packing material (boxes, bubble wrap, tape, etc. ), to assisting your own packing efforts, to having you sit back and have us completely pack and unpack your home or office. In a nutshell we have various packing options and the flexibility to modify and tailor our standard options to meet your unique needs. We are a local moving company that offers personal service national carriers can not. When it comes time to move, we are committed to providing you with a Professional Moving Plan that meets your needs. We know moving can be stressful, so we strive to make the process as easy as possible. We provide a variety of resources aimed at ensuring your move is as stress-free as possible, and within your budget. Our Moving Plan is structured to provide you with a personalized approach to moving your property, whether it is just down the street, the next town over, or across the nation. You will find we have a variety of services to choose from, to include: packing options, storage, special moves, small moves, and virtually every other consideration you may have. ​Platinum Service Packing – We will pack and unpack your entire house or office using our proprietary methods and the best packing materials. Each of our packers is trained in our methods and will do so in a respectful and professional manner. ​Gold Service Packing – Based on your requirements, we will support your packing efforts as little or as much as you need. We will utilize the same methods as our Platinum Service Packing Level and price our effort either by the hour or the job, depending on your preference. Silver Service Packing – We will provide you with all the packing materials (boxes, bubble wrap, tape, etc.) as you require and based on our Fair Price Guaranteed quote. ​Whether we pack or assist you in your packing efforts, we provide the utmost care in packing (and unpacking) any and all fragile possessions. In other words, we treat your items like we would our own so you can rest assured your valuable property will be pack, moved, and unpacked in the hands of our expert movers. Loading – During the loading process, our team will ensure that each item, box, or other possession is properly packed, inventoried, and labeled so the unloading process will go smoothly and efficiently. For all furniture we will use our proprietary plastic containment system and padded blankets to ensure against any potential damage. Further, we systematically load our trucks to maximize space, ensure safe transportation, and enable efficient unloading. We encourage all our customers to oversee our loading process if they desire. Lastly, we will review our quote inventory worksheet to ensure we have labeled and organized the loading of our trucks per our Moving Plan. Transportation – We only use the finest equipment and all of our drivers hold appropriate licensing and certifications – safety and efficiency are our top priorities. For longer distance moves, we maintain GPS tracking on all of our trucks so you can check their location 24x7. We are fully insured during the transportation process so you can be assured your property is well covered. Unloading – Upon arrival, we will will carefully unload and unpack (as specified) all of your belongs; and with your guidance (or prior instruction if not present), we will carefully place all of your boxes and furniture in identified rooms. Further we will re-assemble any items that needed to be taken apart prior to loading, such as bed frames, entertainment centers, etc.). ​Seniors– All moves can be stressful but moving a senior can be especially challenging, as they are often part of a life change. Scranton Moving has the experience and professionalism to accommodate the needs of seniors and their families during these types of moves. 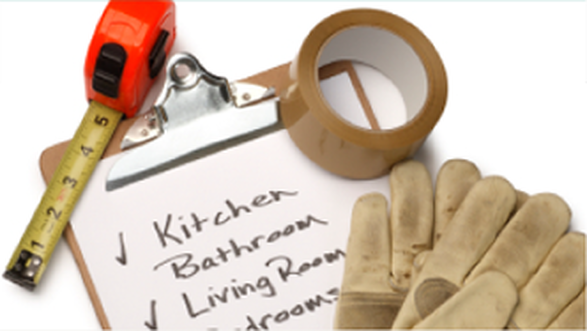 Our Moving Consultant will make note of your these requirements and ensure they are completely met. Handicap and/or Accessible Living Moves – We understand the unique needs of special needs movers and their families. We know residence configurations are different and will accommodate all these needs. Also, we understand the sometimes extremely stressful situations families are under during these moves and will provide all of services in a respectful and professional manner. Please discuss all your moving requirements with our Move Consultant and rest assured we will be sensitive and accommodating to whatever they may be. 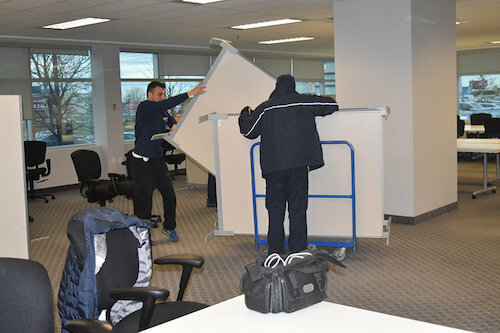 Corporate Relocation – We provide national and international relocation services for your employees. We have the experience to handle all the unique nature of these moves from adhering to corporate policy to the billing process required for reimbursements. College/School – We know, from having our own children in college, that college moving day can be a tradition shared among the family. However, when you need assistance, or for whatever reason, need a professional mover, we are experienced in college/school moving. Our smaller trucks have frequented many area and out-of-state campuses. Please consider our services as we have seen firsthand the growing loads kids take to school. Unpacking – If selected from one of our packing service levels, our crew will unpack all boxes and place their contents in specified locations per our Moving Plan. You can further supervise this process or leave it up to us per you prior directions. We will remove all packing material and leave your new residence or office as if we were never there. Storage – We provide storage services, to include climate controlled, for up to one year. We have a proprietary Warehouse Management System so all your items are first inventoried prior to storage, and then placed securely in our warehouse facilities. We offer both short-and long-term storage and can accommodate both Less than Container Loads (LCL) as well as Full Container Loads (FCL). Structured Packaging- Based extra large items that won’t fit in standard boxes and/or need extra protection, we can provide 2x4 crating and skid packing. This type of packing will receive the same level of care and protection materials (bubble wrap, shrunk wrap, padded blankets, etc.) as all of your standard items do. We are a professional moving company offering full service moves, whether they are long distance or local moves. We take pride in moving Scranton PA residents around the area and the country. ​Affordable, stress-free moving in our mission. We are one of the highest rated and respected movers in the area. No job is too small, too big or too complex, and every customer is our #1 priority. We are in the people business that just happens to move things for a living. All of our staff is dedicated to making your moving experience as easy as possible… and you will find it will be easy with the movers Scranton and NE PA locals trust.